Dark discoloration under the eye’s skin is known as dark circles. We can also say that as dark rings or dark shadows. There are some main factors occur behind the visibility of dark circles, such as depression, lack of sleep, major use of tea, dry skin, aging, working most of time in front of computer or laptops, heredity, sinus infection and un healthy diet. This is common problem between any ages of men and women. Dark circles are not a serious problem, but people look tired, unhealthy, looks older and ugly face. Everybody knows that eyes are the mirror of human personality. Beautiful eyes make your face fresh and healthier. Many medicine and creams are available in the market, and their company said to remove your dark circles with in a night. But you must know that the frequent use of cosmetic products could be harmful for your eyes health. Today I will tell you the best natural remedy to remove these circles in 15 days. 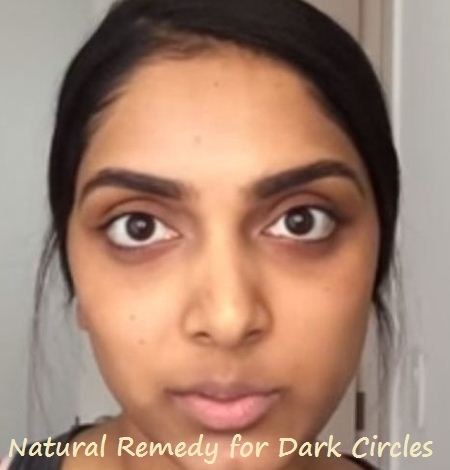 This remedy presented after so many researches and you can remove easily your dark circles permanently. Here is the remedy. Take a tomato and grind it to make paste, now put the paste into cotton clothes and press it and save all juice into a jar. Now, add ½ tbsp of lemon juice and 1 pinch of turmeric in it and mix well these three ingredients. Now, add 2 tbsp of wheat flour in the mixture and again mix it properly. It will become a normal thick paste. Apply this paste on your dark circles under your eyes and massage slowly from your finger. Leave it for 15 minutes, it will dry complete. After dry it, Wash your face with cool water. 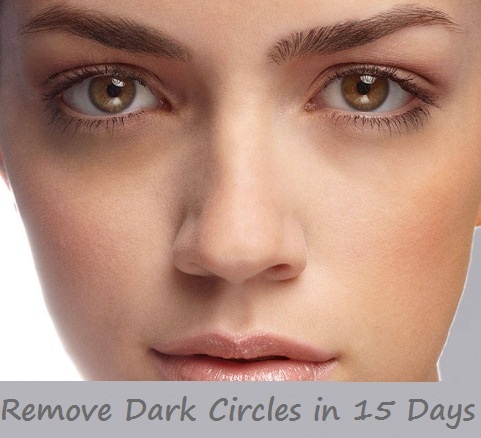 Do this remedy daily for 15 days, Your dark circles will be removed. Take proper sleep to rest your eyes must. Drink lot of water daily. When you feel tired on your eyes, you must take 2 steel spoons and make them cool into refrigerator or ice. Close your eyes and put these cold spoons on your eyes for few seconds. It will relax your eyes and prevent swollen. thank you very much :) you enjoy your weekend too dear friend. you can store remaining quantity, if you want to apply this remedy on your face for skin whitening, Yes you can apply it on all over face.